Dr. Michael Ziter died peacefully on Tuesday morning, exactly as he would have wanted: surrounded by family in the South Windsor home in which he had lived since the 1950s. His were hands that healed many. 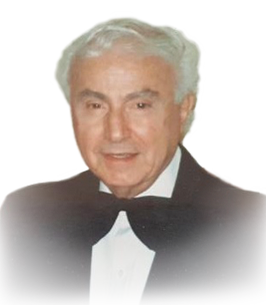 One of the first doctors of Middle Eastern descent in southwestern Ontario, he practiced medicine in Windsor for more than half a century, continuing past his 90th birthday. Known to his thousands of patients as “Doctor Mike,” he enjoyed a special affinity with many of the city’s immigrant communities, which was made possible by his fluency in five languages. He loved his work. He was honored with a medal for years of public service in the year of the Queen’s Jubilee and called “The People’s Doctor”. Outside the office, Mike lived a brilliant life coloured richly by travel, literature, classical music, and a regular series of sprawling, dinners populated by family and friends from far and wide. With his wife of 69 years, Irene, and their longtime caregiver, the late Emilia Rossi “Bea”, he raised a pharmacist, an occupational therapist, and three doctors. Mike is remembered widely for his unflagging work ethic, empathy, humour, and worldliness. He leaves behind a sterling reputation as a leader, teacher, and organizer, particularly in the Lebanese and Itailian communities. Many philanthropic and cultural organizations at home and abroad, including the Windsor Symphony Orchestra and Hospice of Windsor, will attest to his tenacious generosity, as will the hundreds of guests he invited into his home over the years. Mike retained his uniquely sharp wit, flair for storytelling, and prodigious mental register of Lebanese folk wisdom well into his later years. He lived a long, noteworthy, and remarkably constructive life. Beloved and cherished husband of Irene (nee Courey) for 69 years. Loving and devoted father of Dr. Michael Jr. (Ruth), Dr. Paul (Yvette), Mary Lee (David) McWilliams, Dr. Dale (Cheryl), and Christine (Mike) Labiak. Loving Jiddu of Jason (Traci), Adam (Lindsey), Nicole (Matt), Phillip (Hoang Anh), Patrick (Lindsey), Sienna (Gavin), Bryan (Sheena), Stephanie, Jesse (Alexandra), Brett, Carly (Eric), Michael (Alexandra), James (Chloe), Jenna and great Jiddu of 11. He will be sadly missed by his extended family and many dear friends. Donations to Hospice of Windsor would be appreciated. Special thank you to Evelyn and Roi Laki for their care and compassion. Visitation Friday February 1st, 2019 from 1-5 p.m. and 7-9 p.m. at Families First 3260 Dougall Ave. South Windsor, 519-969-5841. A private family Mass and burial will take place.